As part of our strategic global growth platform, IDF™ has recently bolstered an already strong team with a select group of industry professionals bringing further depth of sales and research expertise to our company and our customers. 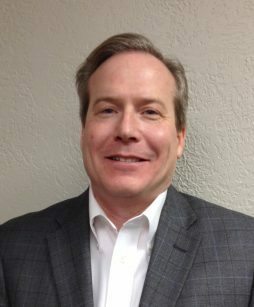 Lou recently joined IDF as Senior Director of Sales, with 22 years of experience in the business of fragrance and flavor ingredients. Lou started his career in the quality-control lab at International Flavors & Fragrances (IFF), while studying chemistry at the University of Wisconsin-Milwaukee. Over the next 13 years, he held a number of positions at IFF, working in the areas of microbiology, fermentation and extraction, analytical chemistry, and organic synthesis of novel fragrance molecules. He afterward accepted a position at Hagelin Flavor Technologies, where within seven years his responsibility had grown from Account Executive to Sales Manager overseeing and managing domestic sales to the largest consumer-product companies in the world. This background in selling complex flavor systems and taste-modulation tools to a diversity of markets helped make Lou especially suited to IDF’s strategic sales platforms currently ramping up in the U.S. and Canada. Just prior to joining IDF, Lou held a position at I. Rice & Company as Director of Technical Sales. In this role, Lou was responsible for consumer product goods accounts and channel distribution for the bakery and frozen-dessert sector. Lou is married, has one daughter, and enjoys golf, fishing, and taking a ride on his Harley. We welcome the Croce family to our family, as IDF continues to build on our success with one of the industry’s most respected teams of ingredient experts. Jack adds his experience in nutrition, technology, and food safety to our growing expertise in ingredient innovation, bringing us more than 30 years of experience as a chemist and food-science researcher, including nearly seven years as Director of Chemistry for the Institute of Food Safety & Health at the Illinois Institute of Technology. 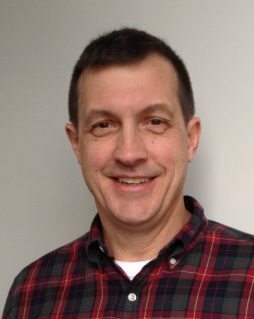 Previously, he worked as an analytical chemist in R&D for ConAgra Foods, first in meat science and later in chemical and microbiological food safety. He took over as Director of Chemistry for ConAgra in 2006, leading projects in support of products such as Butterball Turkey, Armour frozen meals, and Healthy Choice frozen meal solutions. Before joining ConAgra, Jack held research positions at the University of Illinois at Chicago and Evanston Hospital/Northwestern University. He holds bachelor’s degrees from the University of Illinois in Champaign/Urbana (biological sciences) and Elmhurst College (chemistry), as well as a master’s degree in biochemistry from the Illinois Institute of Technology. Jack’s research in nutritional and residue chemistry and anti-oxidant product development, combined with his industrial experience in new technology for efficient processing, make him uniquely qualified to contribute to IDF’s growth as the premier provider of the industry’s “gold standard” chicken ingredients. Lindsay provides our customers another outstanding resource for collaboration and innovation. She brings a strong background in technical sales and food science, including extensive work with large national accounts and channel partners. With a bachelor’s degree in food science from Rutgers University Cook College, and a master’s of business administration from Fairleigh Dickenson University Silberman College of Business, Lindsay began her career as a food technologist for Hagelin & Company. 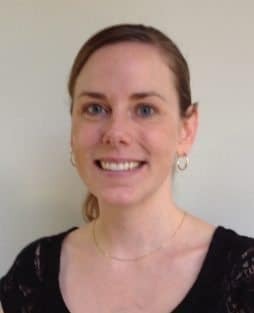 After working in such areas as sensory studies, flavor application, and formulating for frozen dairy, beverages, and confections, she joined Reckitt Benckiser as a research scientist in December 2006. There Lindsay managed French’s Worcestershire Sauce and Potato Sticks portfolios, and co-managed its Mustard portfolio, before becoming a research associate working in brand support for new products such as French’s Chardonnay Dijon and Honey Mustard Dipping Sauce. 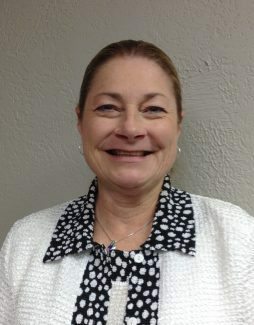 That experience in product development, customer collaboration, and technical management led to her being named Technical Sales Manager for French’s in 2012, expanding her responsibilities to include comprehensive industrial sales management for the U.S. and Canada, along with management of the national Subway account for that territory. Lindsay works remotely from Tewksbury Township, New Jersey, where she lives with her husband Ken, her son Grant, and family dog Tyra. Her expertise in products and processes will add tremendous value to the innovations IDF continues to develop with our customers and channel collaborators. As part of IDF’s emphasis on domestic and North American growth, we welcome Deana Phillips to the position of Account Executive for the southern U.S. An industry professional with both technical knowledge and a proven sales record, Deana brings to the job extensive experience in a number of food categories. She began her career as a food technologist with ConAgra Foods before transitioning to sales, where she has spent the majority of her career. Deana worked as a Marketing Manager (color and flavors) for Chr. Hansen in Milwaukee for three years before moving on to Kerry Ingredients & Flavors, first as Business Development Manager in the savory category and then as an Account Manager representing product lines ranging from flavors to emulsifiers to spray-dried products and more. Most recently Deana was a Senior Account Manager for Sensient Savory Flavors, working in sales of HVP, yeast extract, and savory flavor, with some crossover involvement in dairy and beverage sales. She holds a bachelor’s degree in food science and nutrition from the University of Missouri – Columbia and an MBA from DePaul University. Deana lives with her husband and many “four-legged kids” outside of San Antonio, where she will work remotely to serve IDF’s growing customer base throughout the South. Aaron joined our team in January 2016 as Customer Service Manager, bringing a wealth of experience in managing the international supply chain through cultural savvy and advanced logistics systems. 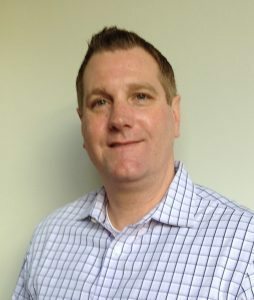 After completing his bachelor’s degree in communications at Tennessee Temple University, Aaron worked for six years as international and direct-import Customer Service Manager for The Little Tikes Company, a division of Newell Rubbermaid, after which he joined ConAgra Foods to become International Service Manager. There he spent more than a decade providing leadership for a team of supply-chain specialists in a complex environment, cultivating relationships among internal partners and customers to enhance understanding and efficiency. Among his areas of expertise in international commerce are documentation, customs procedures, logistics arrangements, Incoterms 2010 implications, and international banking instruments. With his ability to devise process solutions to accommodate changing conditions (such as additional channels, markets, and categories), Aaron will provide a key support component for IDF’s global growth strategy.